So, here at Game Hype we’ve been chatting away about Bosses and the apologies we owe them; of course, we aren’t talking about your 40 hours a week boss, when you sneak in late hoping they won’t notice, or when that deadline went sailing by like Link in the Wind Waker and you’re forced to seek forgiveness. We are of course discussing those bosses in video games that we feel we owe an apology to, be it for giving up on them (more like rage quitting) or because you cheat ed your way through with cowardice and exploited game mechanics to get the win. 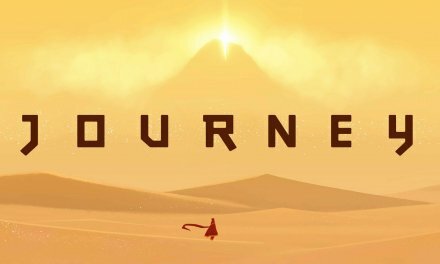 So sit back and enjoy as some of the lads at Game Hype recount the times we feel are most worthy of a heartfelt apology. Those of you who know me are no doubt aware that I consider myself quite the sniper, either on Halo, on Battlefield or slinking about the woods during Airsoft. So it’s with great shame that I confess to you all, that I ‘cheated’ my way through this encounter with one of my favourite gaming characters of all time: Sniper Wolf. Voiced by the ever impressive Tasia Valenza, Sniper Wolf was the premier markswoman in the special forces group called Foxhound. During the course of Metal Gear Solid you’ll face off against her twice. The first was fun and didn’t present me all that much of a challenge, and to be honest I don’t recall the 2nd being all that difficult…well, especially not the way that I beat her. 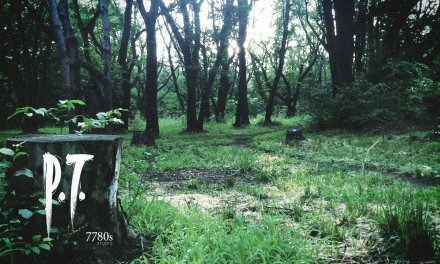 So to set the scene you leave the base on Shadow Moses Island and enter an open lightly forested area, *BLAM* Sniper Wolf tags you and the battle begins. Now the fight is meant to be the final duel between two amazing warriors, you’re tasked with discovering Wolf’s position, tracking her movements and taking her down using the PGS-1 that was used previously, but that’s not what I did. I cheated my way to a dishonorable victory, by using (I assume you already know and that many of you reading this did the same) the Nikita launcher. Yes, I used remote control, video-guided rockets, from complete safety to kill gaming’s greatest sniper. SHAME! 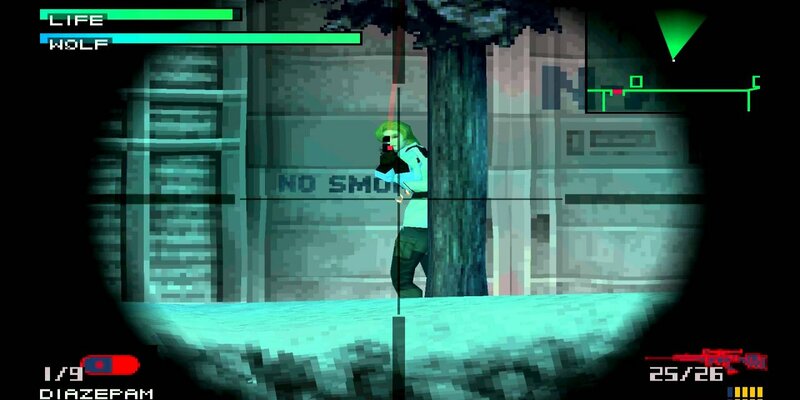 So Sniper Wolf, I humbly apologise for dishonoring myself, in penance, I vow to dust off the PS1 at some point and defeat you in sniping glory and regain my sniping honor. Resident Evil 4 is by no counts an easy game, at least not on your first run through it. 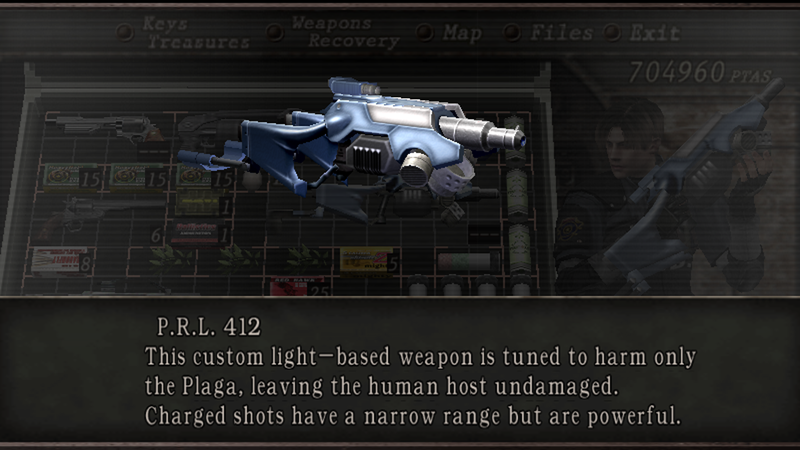 Known for it’s reshuffle of the Resident Evil formula, RE4 is regarded as a classic by many, offering some of the toughest boss fights the series has ever seen, that is until you get your hands on the Plaga Removal Laser 412 (P.R.L. 412 for short). Unlocked after beating the game on professional difficulty, the P.R.L. 412 is the very definition of an overpowered weapon, being able to kill most of the games enemies with one shot (Osmund Saddler disintegrates in seconds with a flash that has looks like it holds the killing potency of a wet fart). Once unlocked, the weapon can be bought for 0 pesetas from the merchant upon every subsequent Leon playthrough, making the game an absolute breeze to get through; just be sure to wear those safety goggles! 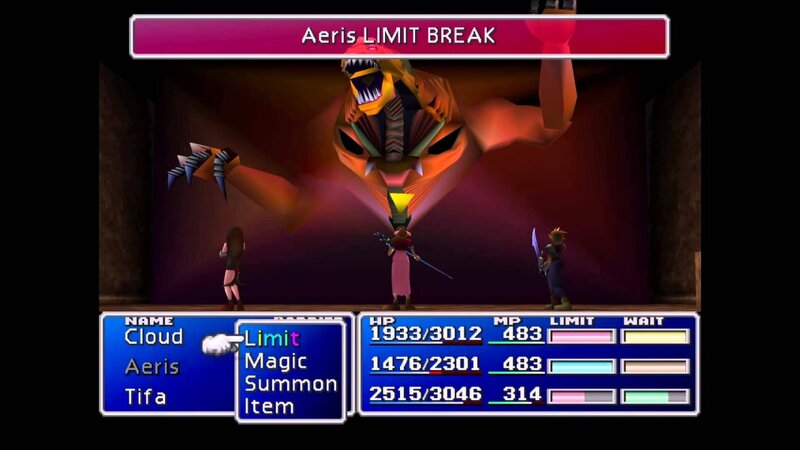 Now you may have experienced something completely different, but when I was a kid I struggled immensely to take the Final Fantasy VII boss: Demon’s Gate, to the point of control breaking tantrums. I don’t know if I was woefully under-levelled or just clueless because he hasn’t given me much bother whenever I’ve returned to this classic. First of all if I could I apologise to the big fella for the expletives I threw his way, I would; and second of all I now understand that he was so bloody stubborn to help me from my emotional trauma! After smiting this boss you are subjected to being possessed by Sephiroth and handing over the Black Materia to him so he can summon a planet destroying meteor, he then proceeds to force you into saying hello to Aerith with your fists, who then takes it upon herself to try and stop this meteor alone only to come down to a bad case of Masamune through the sternum! All this could’ve been avoided if we had just listened Demon’s Gate and you know what!?! MY BAD!!! Not to be confused with Proud Clod from Final Fantasy VII. 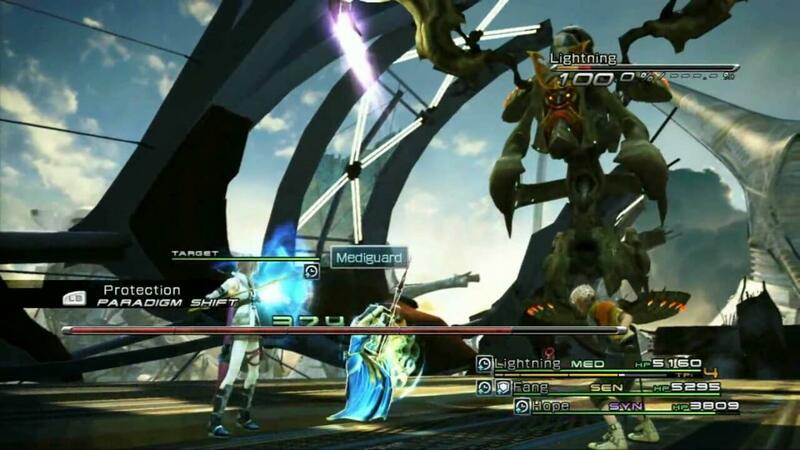 Final Fantasy XIII is known as the most unforgiving in the franchise when it comes to mandatory bosses. I wouldn’t even say any bosses were super difficult; the game itself just had one major flaw that when Lightning or whoever else is the leader dies it is Game Over regardless of other party members still being alive. This made a lot of the main bosses required to progress insanely frustrating to the point I gave up and looked at other ways to overcome these fights. One boss in particular was my first encounter with The Proudclad. The boss starts off seemingly pretty easy; it fires a weak but fast laser attack on the party giving me enough time to buff my characters and keep them healed before changing to Tri-Disaster and filling that Stagger bar for an easy win but that is not at all what happened. Instead this boss becomes more powerful after it recovers from stagger, not only does it recover its health fully but it casts permanent buffs on itself and counters attacks with a super powerful missile attack that will most likely KO the party leader resulting in an instant game over. I lost many times trying to fight this boss until I found out that by not staggering the boss you can win as it will not use its recovery and powerful missile attack, and remain in a weak laser attack mode throughout the whole fight. Overcome with Joy I was until I realised the fight would take ages as I was just using my two Commando’s and a Medic resulting in hardly any damage being done and surely enough the fight continued on slowly. I went and made a cup of tea tapping the X button still and came back to my characters all alive and well chipping away at the bosses health. The fight is eventually won and I emerge victorious. The Proudclad is no more! Do I feel proud? Well yes actually as the game has been infuriating enough up until this point, and if you are going to make a boss punish you for trying but weak for not trying then I think i’m going to go with the latter. Sorry not sorry. Agree with the opinions on this list? Have anything to add? Let us know in the comments below! 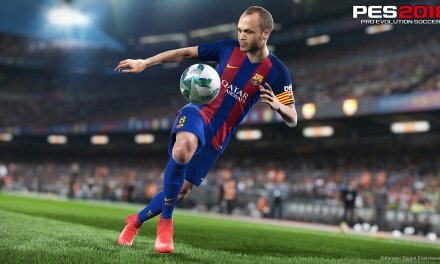 PES 2018 Announcement – The Neaves View!